At Elion we understand the threats that disrupt the facility operation and losses suffered by client due to theft. The best planned security systems and security procedures lose their effectiveness if they are not continually monitored. Every location is vulnerable to threats, be they physical theft, information theft, life safety risks to employees and patrons, and/or acts of God. Elion Team comprises of Ex-Defense professional who expertise in the field of Security & Theft Audit. The Elion teams do a thorough investigation to determine whether or not correct and appropriate procedures have been followed and complied with in the event of loss. 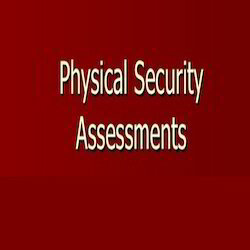 Elion technologies team comprises of ex defense personal who carry out Physical Security Theft Audit. During the audit we study the complete building so that it is prevented from any type of theft.Various document and procedure that are followed are also audited. Are the perimeter of the building and the perimeter of the property adequately covered by cameras?